I am very happy because a new Sprouts Farmers Market opened this week near us and the location is perfect for stopping on the way home from work. 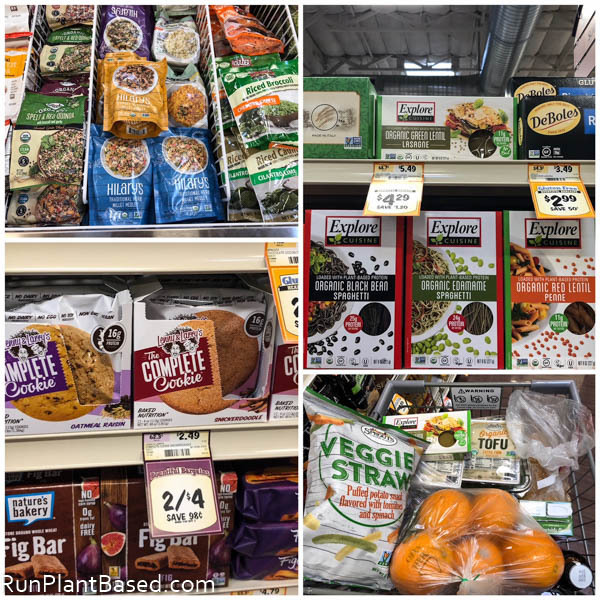 And just wow at the vegan options, I was overwhelmed with so many new products to try! Can’t wait to try the Organic Green Lentil Lasagne! And the prices were great on organic beans and tofu compared to other stores. But I’m really looking forward to shopping more in the bulk bins for grains, beans, and popcorn and not having to drive to another congested city to do it! Aw, so awesome! 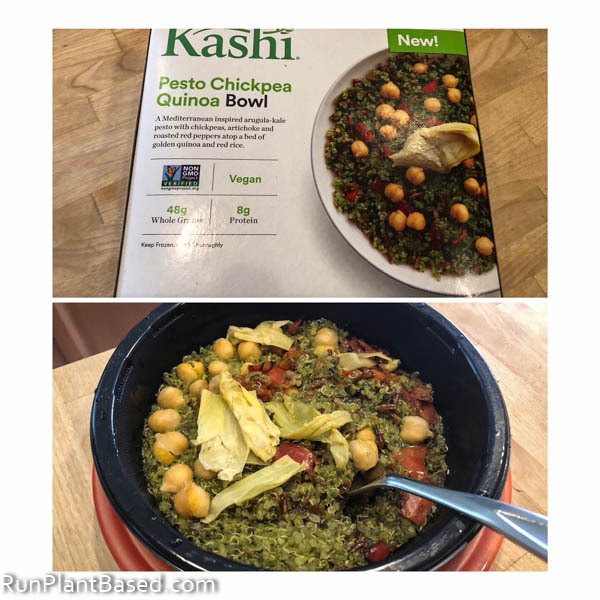 I did try a new find for lunch today – the Kashi Pesto Chickpea Quinoa Bowl. Love the clear vegan label right on the front and it has many of my favorite ingredients. Okay, the cooked bowl barely looked like the picture on the box, do they ever? But still pretty hearty for 330 calories and I appreciated the daringly strong garlic pesto flavor. Also easy to add more chickpeas and nutritional yeast to make it a heartier. 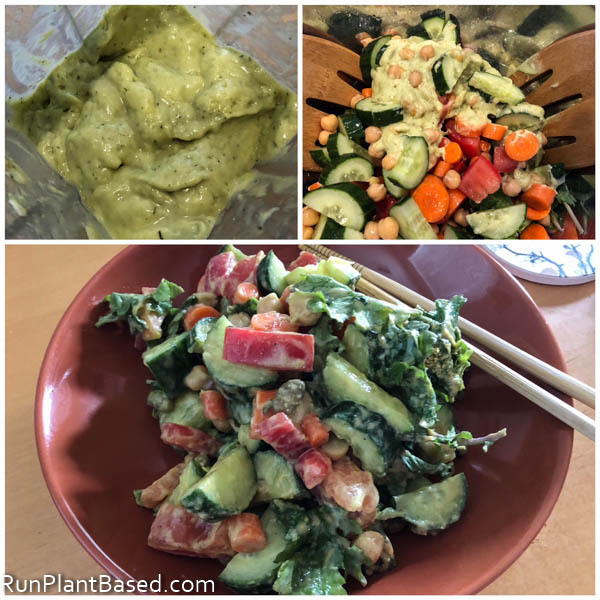 This interesting video from Dr. Greger and a cheap bag of ripe avocados from Grocery Outlet inspired me to get creative with avocado dressings this week because they have a better type of fat for absorbing more nutrients. The study on tomatoes paired with avocado was very fascinating. Anyway, I tossed one avocado, dill paste, raw garlic, miso paste, apple cider vinegar, and nutritional yeast into the blender to taste to create a tasty, summery dressing. And more avocado, turmeric, raw garlic, ginger, miso paste, and more apple cider vinegar to make another great dressing for a monster salad. The leftovers were great for lunch the next day too. Avocados are so fun to throw into blenders and add ingredients to taste to create and awesome dip or dressing, you can’t go wrong with garlic, ginger, and or fresh herbs. Just don’t share with pups because avocados aren’t so good for them! SO glad you found a new market to shop at. LOVE veggies straws. Eat them by the bagful and convince myself they are healthy if they are organic. Oops. And I have never thrown an avocado in a blender before! Thanks and yes on the veggie straws, Leela loves them as a snack too and they’re probably much healthier than most dog treats. And cheaper! You know I’m all about the avocado, so that dressing is calling my name! You’re killing me with all these awesome GO finds… I wish I was closer so I could poke in pretty much every day to scope out the new arrivals. 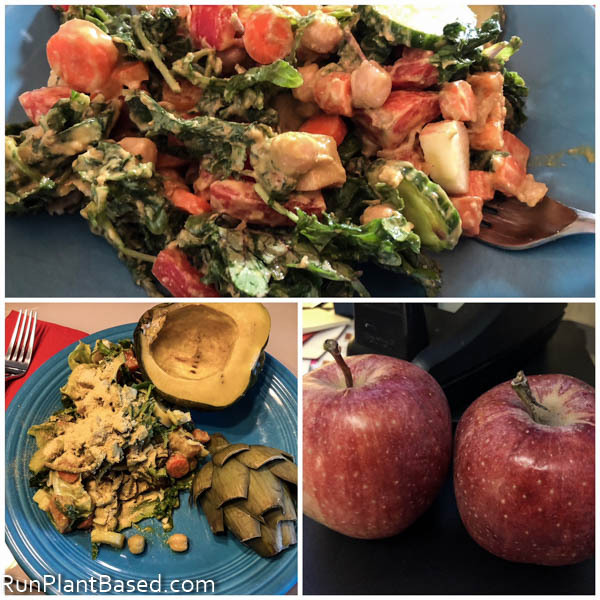 Thanks for the link from Dr. Greger. 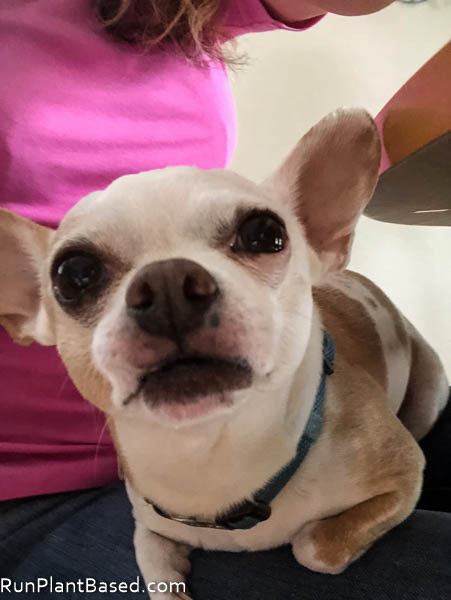 I love avocados so much that I think I would still eat them even if he said not to. LOL! I totally LOVE finding new exciting things at the grocery store! I don’t have a sprouts near me but i’ve heard they are awesome. Be warned that black bean pasta tastes like….well, black beans! Haha. Me too, I could spend so much time exploring new stores and products. True on the black bean pasta and the color is interesting, but I still liked it. Thanks, I will check out the pasta sauce!